Hi guys, happy new Monday morning, Today I’m going to discuss the best free Android Apps for Valentines Day. What it really meant for & what features these apps includes…? Valentine’s Day is celebrated worldwide every February 14th. It is the perfect day to express love or propose your love. People around the world celebrate Valentine’s Day by showing affection for their loved one. Different people have a different way to express their affection. Some people express their love between family members and friends, rather than that of romantic couples. Valentine’s Day is most commonly associated with romantic love. Most of the romantic couple, celebrate Valentine’s Day by giving greeting cards, chocolates, flowers, particularly roses, watching movies with their partners. 1-800-Flowers is one of those companies that seems to have been created specifically for holidays like Valentine’s Day. They deliver gifts to 195 countries around the world so pretty much anyone can get in on the action, although you may want to order soon to make sure everything appears on time. This app includes very beautiful Free valentines day cards it has elements in the cards such as flowers, roses, candles, hearts, gifts valentines day 2018 cards collection. with this app there's no limit to the number of greetings, valentines day messages you can send and it's easy to share your favorite animated GIF e-card by clicking Share button at the bottom of the application via your favorite social network such as Facebook, whats app or you can email it. 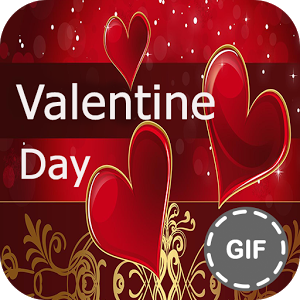 Valentine Special day is one of the best and ever valentine app in 2018 that comes with lots of features inside, This app helps you to Surprise your loved one with a romantic verse, text SMS message, love SMS, gift, song or picture. Pick out the perfect present for her or him. Actually, This Valentine app is really awesome, This awesome app comes with fantastic and beautiful emoji's which friend can use to show love to others or their loved ones. Valentine Love Emoji has thousands of Emoji and it can be shared with friends on all social media including SMS text. Click Here To Download On Play Store. This is one of the best wallpaper valentine apps so far, It contains Valentines wallpaper, Valentines Pictures and Valentines wishes day wise.This app is easy to use especially for those who don't know exactly what to write or say to friends or loved one, this app can really help you on that because all you need is there. We all know the importance of Valentine week for a lover and best friends.That day brings with romantic love, heart feelings, kindness, so many people give attractive Love cards, letters, flowers or presents to their spouse or partner on this week. With the help of this application, you can share attractive love card to your most lovable person and share your love feelings with her/him easily. Valentine's love poem is a free valentine app where you can romance on the spirit of love, enjoy the poems, and even send them as a valentine's day greeting card to your friends, loved ones or sweetheart. This awesome app comes with thousands of love poems and makes it quite easier nowadays, as you can simply send a lovely Poems to your valentine from this precomposed Valentine's Day Poems collection.